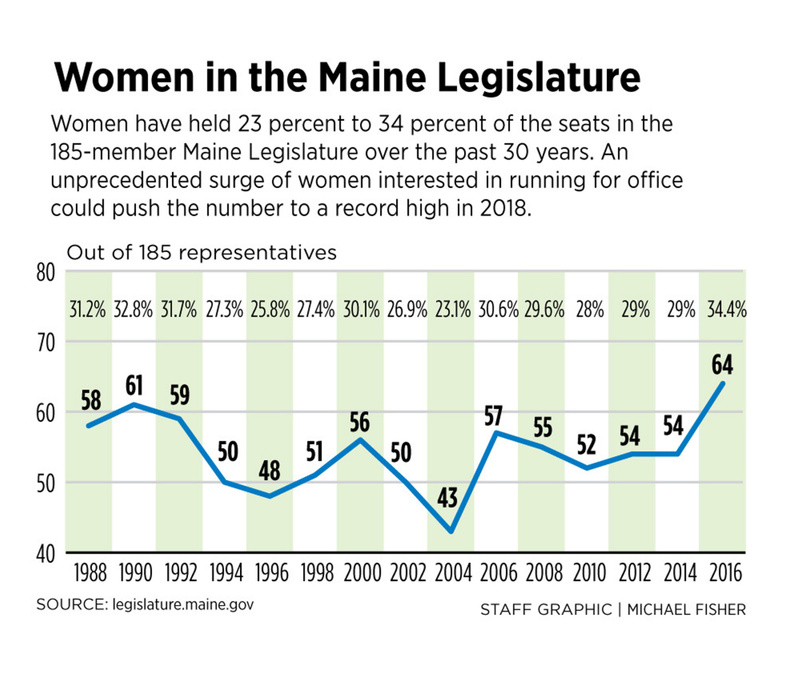 Veteran women Maine politicians welcome the surge. “I think it’s exciting,” said Sen. Susan Collins, R-Maine, one of 22 women in the U.S. Senate. “When I started as a senator 20 years ago, there were only nine of us,” she said. “When I was a high school student, Margaret Chase Smith in 1971 was the only woman serving in the Senate. “We clearly have a long ways to go, but certainly we are making tremendous progress in women serving in government positions in all levels,” Collins said. Collins is experiencing some of women’s new confidence firsthand, she said. “I’m often called upon to call Republican women who are considering running for office,” Collins said. She used to “constantly hear” women say they weren’t ready, or needed more experience. That’s never come up when she’s called a potential male candidate, she added. “It used to be the joke among those of us who make these recruiting calls that for a woman to talk international trade, she feels like she needs a master’s degree. A man just feels he needs to drive a Honda. There’s a little bit of truth to that,” she said. But that “confidence gap” – the same gap researchers say keeps women from applying for a job she’s not perfectly suited to, or asking for a raise – is fading away. The changing political landscape is boosting women’s confidence, Sinzdak said. Women have also taken heart in the #metoo movement, relating to the stories of harassment and assault, and encouraged that men are being held accountable for actions that traditionally were dismissed or denied. For Millett, who is helping the Senate Democratic Campaign Committee recruit more women candidates, it’s all about the moment Trump got elected. The Trump election was “a big bucket of cold water on our heads saying: Wake up! Pay attention! We are not gaining ground, and we can start losing ground,” Millett said. Maine women have broken the political barriers before and a lot of that is due to strong role models, women politicians and activists say. The first name on many women’s lips is Margaret Chase Smith. The moderate Republican from Skowhegan was the first woman to win election to both houses of Congress and the first whose name was placed in nomination for the presidency at a major party’s convention, in 1964. Snowe and Collins rose to leadership positions in Congress, and when Pingree was elected in 2008, Maine became the first state to have women as a majority of its congressional delegation. That kind of role modeling matters. It also doesn’t matter much if the woman is of the same political party. “Hillary Clinton was so high-profile, even if you weren’t necessarily a fan of hers, seeing a woman in that role really did shape women’s perceptions of what a president can look like,” said Sarah Skillins Woodard, executive director of Emerge Maine. But Maine has never elected a woman governor, noted Collins, who ran and lost to Angus King in 1994. 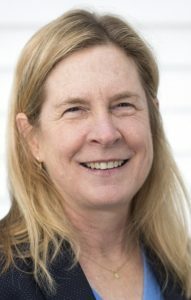 This year the crowded gubernatorial field includes women in executive positions – Republican Mary Mayhew, the former head of the Maine Department of Health and Human Services; Maine Attorney General Janet Mills, a Democrat; and State Treasurer Teresea Hayes, unenrolled. Maine’s Olympia Snowe, a Republican, was famous for working across the aisle in the U.S. Senate and she decried the increasingly partisan atmosphere in her 2012 resignation . Women also have a reputation for working harder, Collins said, recalling the day she and another female senator were the only ones to show up for work after a blizzard dumped 20 inches on the nation’s capital. During the George W. Bush administration, Collins had an unexpected epiphany about her role when she was chairing the Homeland Security and Government Affairs Committee. One day there was an important hearing at which Defense Secretary Donald Rumsfeld was testifying, Collins recalled. “And I looked to the left and the right of the dais, and it was all men,” she said. “Then I looked at the witness table, and it was all men. And it was the first moment it really hit me: This is extraordinary. There is not a single other woman either as a member of the committee or as a witness. Espling had the same experience, realizing she was the only Republican woman in the leadership of the Maine House. It’s not enough to have just a few women either, Millett said. “If you are two women in a room of 20 men, you could get overshadowed pretty quickly. 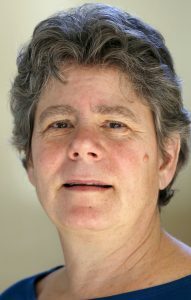 If you are half (women), you have equal heft and you can make a difference,” Millett said. Even seasoned politicians are surprised when they come across blatant sexist sentiments that show how women still face an uphill battle with some voters. Espling said she once had a woman tell her during her campaign that she wasn’t sure she could vote for her “because she didn’t know if I should be away from home.” Another time, a reporter asked her how she juggled being a mother with elected office. “There’s such a bias he didn’t think anything of that,” Espling said. Collins recently blasted a reporter’s question about why she didn’t cry at a meeting with people with grave medical conditions as “unbelievably sexist.” She recalled a similar moment when she ran for governor in 1994. “I’ll never forget it. This young banker came up to me, about my age, and said while he agreed with my positions on all the issues, he couldn’t imagine a woman running the state of Maine,” she said. “I was so shocked that I didn’t even know what to say. I was literally rendered speechless. You’d think he’d be embarrassed, but no, he felt compelled to explain why he wouldn’t vote for me. “That has stayed with me forever,” she said. And it’s one of the reasons Collins makes it a point to visit Maine schools. “I want those little girls growing up in rural Maine to know that they can grow up to be whatever they want to be, including a United States senator.